JACKSON, Miss. 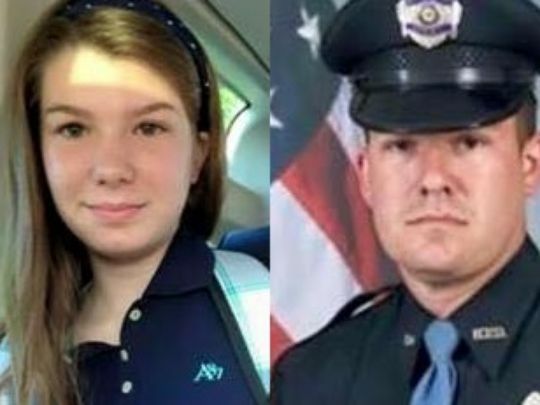 — When Hattiesburg police officer Benjamin Deen was killed in the line of duty six months ago, other members of the thin blue line pledged to watch over his family. Deen's daughter Melah, 13, died Friday night from complications of a virus, opening community wounds that had hardly started to heal after the loss of her father. 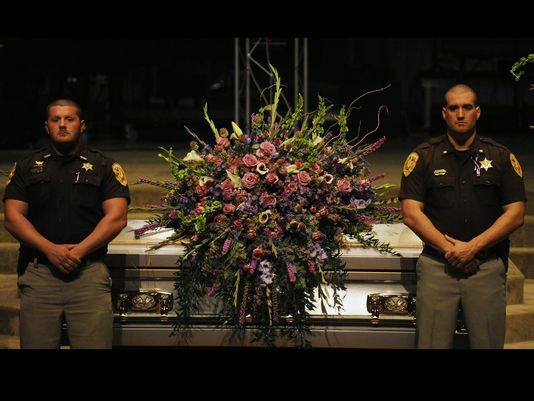 Remembering that vow, and determined not to allow her casket to be unattended at Temple Baptist Church, site of her father's funeral, the Lamar County Sheriff's Department took watch through the night. They had done the same for her father between his wake and funeral. "It's a brotherhood," said Lamar County Sheriff Danny Rigel. "We all worked with him, and we just feel like he's not here to watch over his family and that's what we're here for." Hattiesburg Police Department also stood guard through the wake, and when they left, Lamar County took over and took shifts through the night. "It was the whole sheriff's department swapping out all night," he said. "It's an honor thing. It's something we felt like we had to do." Deen, 34, was killed along with Officer Liquori Tate on May 9 when they attempted to conduct a traffic stop, which drew attention from all over the country and united Mississippians as they grieved the loss. 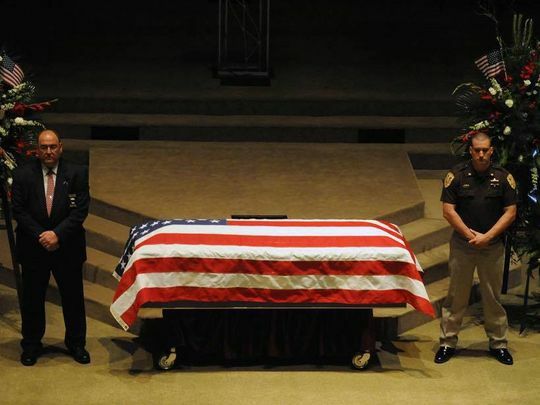 Deen, a K-9 officer, was a six-year veteran of the force. He was also named HPD's Officer of the Year in 2012. Tate, 25, had been with HPD just under a year. Marvin Banks, 29, of Hattiesburg is being held without bond on two counts of capital murder. He also was charged with grand larceny and possession of a weapon by a felon. He was one of nine arrested in connection with the shootings. Deen and Melah left behind wife and mother, Robin, and their son and brother, Walker. Melah's funeral was held Wednesday morning. WDAM-TV in Hattiesburg reported that hundreds of area citizens lined Old Highway 11, wearing blue and purple, to honor Melah as the procession passed. Melah was buried next to her father in the cemetery next to Military Road Baptist Church in Sumrall. Rigel's voice was emotional as he talked about the situation. "Her father couldn't be here," Rigel said. "And we look out for each other."